October Means LD, ADHD, Dyslexia, Down Syndrome, and Disability Employment Awareness! TOP NEWS: Awareness Months; We're Celebrating and Elevating Your Stories! This month we're celebrating you–our families, educators, researchers, administrators, advocates, and individuals who are committed to improving the lives of students and youths with disabilities. As you may know, October is Dyslexia, Attention Deficit Hyperactivity Disorder, Learning Disability, Down Syndrome, and Disability Employment Awareness Month. Earlier this month, we also honored World Sight Day. We invite you to visit the Office of Special Education and Rehabilitative Services (OSERS) blog and Twitter account for heartfelt stories, useful information, and unique viewpoints from individuals and families affected by and living with these disabilities. Many of these stories have also been shared on the U.S. Department of Education (ED) blog, Homeroom. Prepare to be inspired! We're also continuing the celebration of early learners who are also English learners, in honor of National Hispanic Heritage Month. Check out "Voices From the Field" below for an interview with Lillian Durán, who is at the National Center on Improving Literacy and specializes in improving instructional and assessment practices with preschool-aged dual language learners (DLLs). I have really been on the move this month. On Oct. 4 to 6, I joined other OSEP staff to participate in the Division for Early Childhood (DEC) 2017 International Conference. This conference brought together leaders, practitioners, and families to discuss early intervention and early childhood special education. ED staff had the opportunity to network with leaders from the field and joined several presentations, including those focused on personnel development, inclusion, and early learning discipline practices. I also attended the 7th National Symposium on Dispute Resolution in Special Education, hosted by the Center for Appropriate Dispute Resolution in Special Education (CADRE), and the National Association of State Directors of Special Education (NASDSE) 2017 Annual Meeting. At the NASDSE meeting, my colleagues Gregg Corr and Larry Wexler appreciated the massive interest in their sessions that provided updates on both of OSEP's divisions, Monitoring and State Improvement Planning (MSIP) and Research to Practice (RTP). I had some great conversations with state directors of special education and other practitioners at these conferences, as well as with many local personnel at the California Council for Exceptional Children 2017 Conference. It really has been a pleasure to be out in the field learning from all of you! Finally, I wanted to share with you the recently released documents and resources related to ED's Regulatory Reform process. On Oct. 20, 2017, OSERS Acting Assistant Secretary Kimberly Richey announced that OSERS has rescinded 72 guidance documents that were outdated, unnecessary, or ineffective. You can view the chart outlining each of the documents and the reason for their rescinding here. We held an informational call to discuss this announcement, the transcript of which you can find on the OSERS website. Thanks very much to everyone who participated in the call for your questions and feedback. MSIP had a lot going on this month! On Oct. 30, the submission system for the 2018 state performance plan/annual performance report (SPP/APR) opened. For those of you interested in getting a head start on drafting your narratives for 2018, we invite you to view the Part B and Part C SPP/APR collection tools on the SPP/APR Resources website. We are also working to finalize the 2017–18 Differentiated Monitoring and Support (DMS) notices. The DMS notices will inform each state of the level of engagement OSEP recommends for the coming year. These engagement levels will illustrate the amount of support we intend to provide in the areas of 1) compliance, 2) results, 3) state systemic improvement plans, and 4) fiscal activities. As always, contact your state lead with questions. 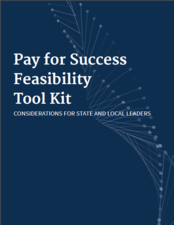 ED has released a new resource, the Pay for Success Feasibility Tool Kit: Considerations for State and Local Leaders. Pay for Success (PFS) is an innovative financing strategy that leverages private investments to address societal problems and challenges that typically use only government funds. The new toolkit is an introductory guide for state and local governments and other stakeholders that are interested in exploring the possibility of a PFS project for education initiatives, or in addressing related challenges facing their communities and populations. It provides information to help stakeholders determine if PFS is a viable financing strategy by 1) laying out the steps usually involved in conducting a feasibility study, and 2) highlighting critical questions and important safeguards to consider when using PFS to support education programs. You can find more information on ED’s PFS activities here. Below is a list of our most recent investments. You can read more about each of the centers and projects in this announcement. Research and Development Center on Developing Software to Adapt and Customize Instruction in Digital Learning Environments is a new investment that was awarded to the Center for Applied Special Technology (CAST), Inc.
Educational Materials in Accessible Formats for Students With Visual Impairments and Other Print Disabilities was awarded to Benetech's Bookshare® initiative. National Technical Assistance Center for Inclusive Practices and Policies was awarded to the University of Minnesota. This is now known as the TIES Center. National Center for Digital Open Educational Tools and Resources Supported by Evidence to Enhance Personnel Preparation and Professional Development for Educators of Students With Disabilities was awarded to Vanderbilt University. This is known as the IRIS Center. National Center for Improving Teacher and Leader Performance to Better Serve Children with Disabilities was awarded to the University of Florida. This is known as the CEEDAR Center. National Center to Enhance Educational Systems to Promote the Use of Practices Supported by Evidence was awarded to the University of North Carolina at Chapel Hill. This is known as SISEP. Early Childhood Personnel Center (ECPC) was awarded to the University of Connecticut Health Center. Early Childhood Systems Technical Assistance Center was awarded to the University of North Carolina at Chapel Hill. This is currently known as ECTA. National Center for Pyramid Model Innovation is a new investment that was awarded to the University of South Florida. More information on the center's research and team of experts is available here. Promoting the Readiness of Minors in Supplemental Security Income (PROMISE) is a five-year research project that advances employment and postsecondary education outcomes for 14-to-16-year-old youths who receive Supplemental Security Income. Many of the youths that receive services and supports through the PROMISE project's current model demonstration projects (MDPs) are students and youths with disabilities. You can read more about the MDPs and their impact on the OSERS Blog. 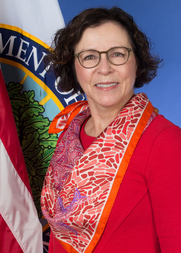 The National Technical Assistance Center on Transition (NTACT) is jointly funded and administered by both arms of OSERS, OSEP and the Rehabilitation Services Administration. This collaborative center provides TA to states to implement activities related to transition planning, graduation, post-school success, and data analysis and use. You can read more about these activities and resources developed by NTACT in this post featuring the center on the OSERS Blog. As Secretary DeVos announced earlier this month, all of the remaining ESSA consolidated state plans were submitted by the fall deadline. ED is currently reviewing these submissions, a process that includes both 1) Department-level review and 2) a peer review process involving stakeholders outside of ED. OSEP continues to be highly involved in the reviews and in ensuring that the needs of children with disabilities are reflected in this work, in accordance with ESSA’s statutory requirements. On Sept. 27, ED's Office of Non-Public Education (ONPE) hosted its 2017 National Private School Leadership Conference. The conference is held annually for private school officials and members of the private school community, including those who represent the parents of parentally placed private school students with disabilities. The Department convenes these stakeholders to improve their understanding of ED's most recently issued guidance and the available benefits for private school students and teachers under both ESSA and the Individuals with Disabilities Education Act (IDEA). OSEP staff participated in the conference to discuss the regulations surrounding a timely and meaningful consultation process, and to emphasize its importance. This process is a key piece of IDEA regulations related to children with disabilities in private schools. 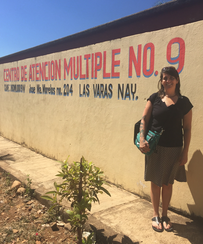 This month we are excited to feature a representative from the National Center on Improving Literacy (NCIL) on the OSERS Blog. Lillian Durán is an associate professor and researcher at the University of Oregon. She is also NCIL's lead for recommended practices in assessment and intervention with young DLLs with and without disabilities. In the interview, Durán discusses 1) her research and experience related to literacy and second language acquisition for Spanish speakers; 2) the greatest challenges in her field and strategies for overcoming them; and 3) the current and projected activities of NCIL related to early learners.